Stephanie Moser, 16407 NW 174th Drive, Alachua, FL Alachua Real Estate Agent - Horizon Realty of Alachua Inc.
Stephanie graduated from Santa Fe High School with the honor of being Salutatorian then went on to the University of Florida obtaining her bachelor’s degree in Business Administration/Sports Management with minors in Real Estate and Mass Media. Stephanie joined Horizon Realty in 2009 as an assistant to her Mom, Patti Moser. She worked on the bank owned and HUD owned inventory completing inspections, doing in depth research, completing reports and Broker Price Opinions. In 2013, Stephanie has obtained her salespersons license and is now a Realtor. She has continued her real estate education by already completing the Graduate Realtors Institute class 1 and attending classes at the 2013 National Association of Realtors National Convention. 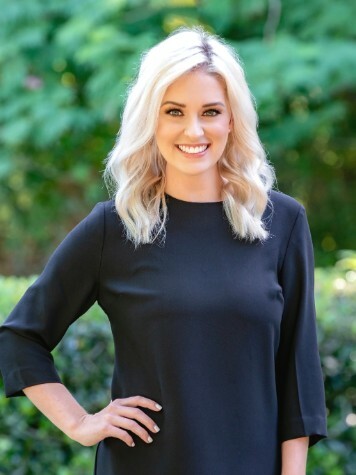 Being a 3rd generation Realtor, Stephanie has a unique knowledge of the real estate business that few young people possess yet being young she brings innovative ideas, energy combined with fresh marketing and communication skills. In her personal life, Stephanie is an avid Florida Gators, Green Bay Packers, and Boston Red Sox fan. Stephanie showed quarter horses at a national level for many years as well as played and coached volleyball.